A new partnership between Cisco, Apple, Aon and Allianz seeks to protect small businesses from the growing threat of cyberattack. The threat to small business is growing, with around 43 percent of all cyber attacks squarely aimed at this segment. The Cisco, Apple, Aon and Allianz Cyber Security and Insurance package was established so small businesses can manage the risks they face from the threats of common malware and ransomware. And when they do become victims of an attack, the service gives them the resiliency to quickly recover and minimize their downtime, the companies say. The cybersecurity threat small businesses face is alarming. More than 72 percent of successful data breaches happen in smaller companies, and around 71 percent of owners say they don’t have confidence in the cybersecurity measures they currently have in place. With all the associated risk, and many citing data breaches as their number one concern, almost two thirds or 65 percent go without cyber insurance. 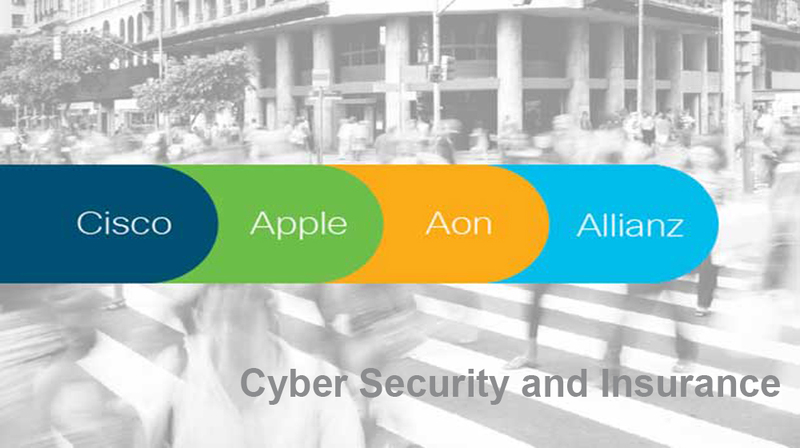 The cyber insurance and security package created with the collaboration of Cisco, Apple, Aon, and Allianz is a comprehensive solution designed to protect the organization as a whole. As part of the Cyber Risk Framework, this solution allows organizations to act on the risks they face with streamlined access to the right tools to strengthen their security while reducing cyber risk. 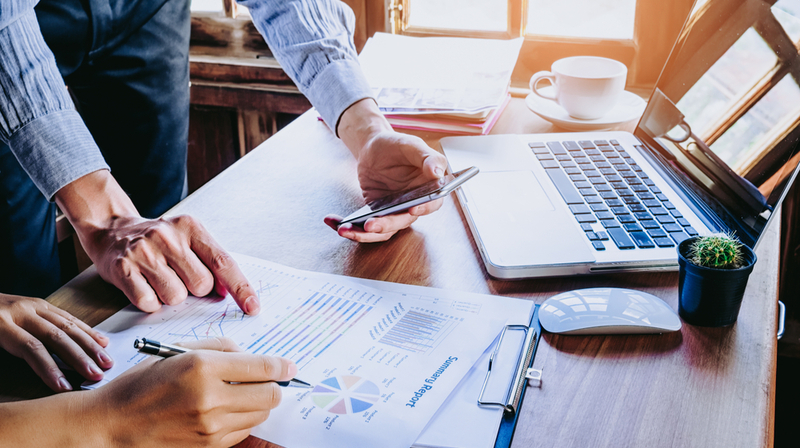 The process starts with an evaluation of your digital ecosystem to provide the insights you need to bolster the security posture of your company. Once your security profile has been strengthened with tools from Apple and Cisco, your organization can qualify for enhanced cyber risk insurance. This is where the insurance underwritten by Allianz and sold by Aon comes in to add another layer of protection. With this solution in place, you will be able to respond to advanced threats faster, empower your employees, increase your cyber insurance profile to get protected from additional risk while gaining security expertise. 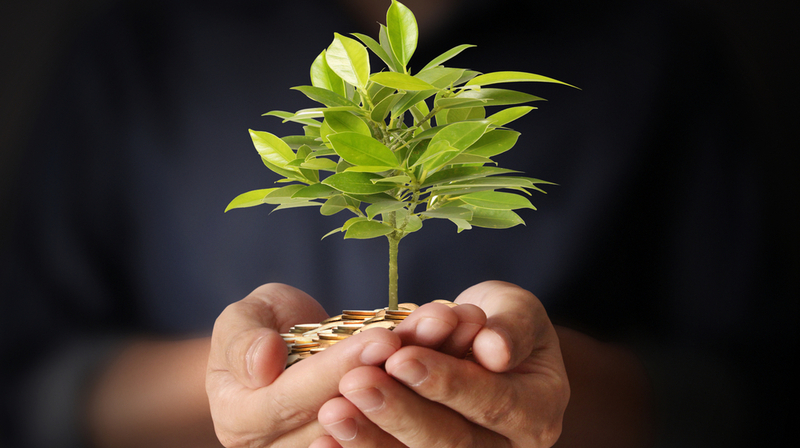 Though information on the total cost of the program was not provided, more information is available by contacting any one of the partners for more. Have you seen “Small Business Revolution — Main Street”? It’s the show where a whopping $500,000 revitalization prize is awarded to one city, by Deluxe Corp. This month, Small Business Trends connected with Amanda Brinkman from the program to discuss its third season, which begins later this year with co-host Ty Pennington. We discuss Brinkman’s role at Deluxe, what businesses can learn by watching their past and upcoming content, and how they’re using Facebook Live. A creative visionary in marketing and media, Amanda Brinkman has innovated for brands like Reebok, BMW, Sony, Toro, Virgin Mobile and more. Her work on BMW Films kicked her career into overdrive. Brinkman currently works with Deluxe Corp. as chief brand and communications officer, and in 2015 she made a bet that an authentic program — branded as the Small Business Revolution championed by Deluxe — would garner more results than she could buy with traditional advertising. The show, named “Small Business Revolution — Main Street”, chronicles the program’s impact on communities and countless lives. The winning city for the show’s new season was announced on Feb. 27, 2018 via Facebook. Content from the two previous seasons have gained 11x the reach and impressions of a traditional media buy with the same spend. Brinkman is honored to serve on the boards of the Children’s Cancer Research Fund, Make-A-Wish, the Children’s Theatre Company and the Women’s Business Development Center’s (WBDC) Chicago Board. She also passionately volunteers for an array of causes, including the Special Olympics, Feed My Starving Children, People Serving People, the Down Syndrome Association of Minnesota, the Jeremiah Program and more. She’s also a member of the Minnesota Women’s Economic Roundtable. Engage with her on Twitter, Instagram or Facebook @amandakbrinkman. Small Business Trends: What is the Small Business Revolution all about and which city won Season 3? Amanda Brinkman: The Small Business Revolution is a movement. We are creating a revolution across the country to celebrate small businesses and their critical impact on our economy and our communities. 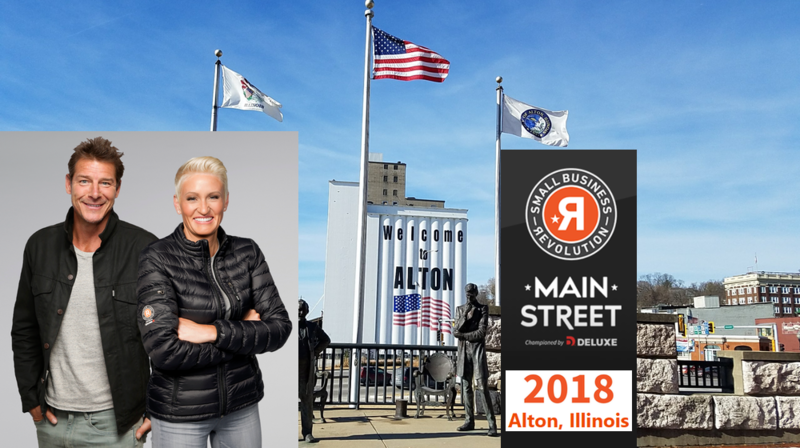 This year marks the third season of “Small Business Revolution – Main Street”, which annually awards one small town with a $500,000 revitalization for its Main Street and its small businesses. We received thousands of nominations from towns across America and spent the last couple of months visiting and researching the finalist. 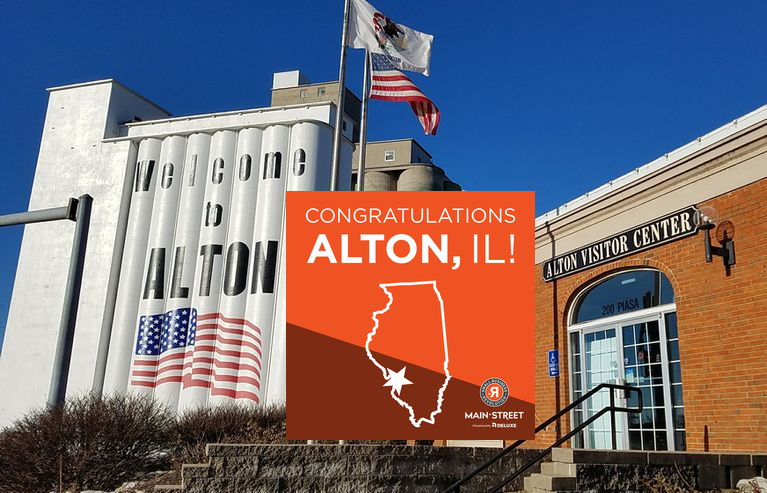 After naming five finalists and inviting the public to vote for their favorite, Alton, Illinois was named the winner. 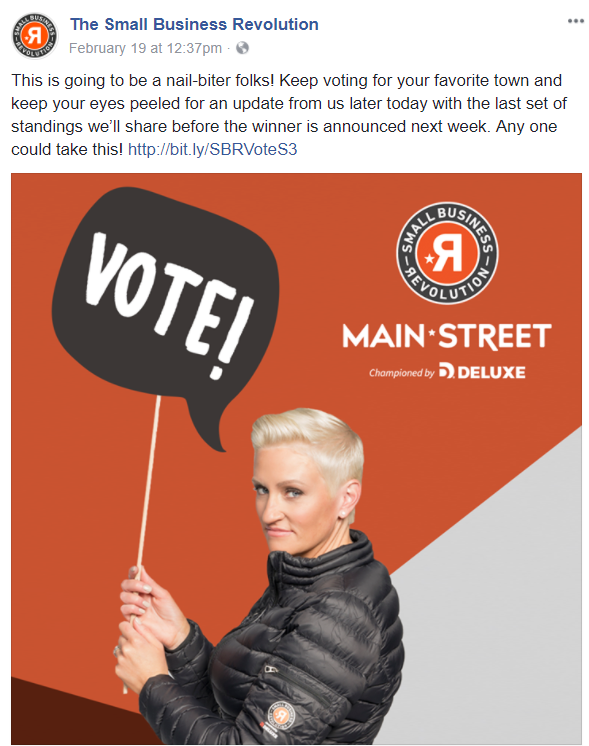 Small Business Trends: How has Facebook Live been helpful even before the third season of ‘Small Business Revolution — Main Street’ begins? Amanda Brinkman: Facebook Live has been an incredible tool for energizing our passionate Small Business Revolution audience and engaging with them in real time — especially at key points throughout the program. For example, when we visited 10 short-listed towns in January to determine our five finalists, we did a Facebook Live broadcast from each town with a local representative. It was an amazing way to shine a spotlight on all of the communities and share with our followers the amazing communities we were visiting. We’ve also used Facebook Live to make major announcements, such as the reveal of our five finalist towns for Season 3 and the inclusion of Ty Pennington as our new co-host. It’s fun — and effective — to have everyone learning the news simultaneously and weighing in with their comments. Small Business Trends: Let’s hear a recap of what Deluxe is, for those who don’t know. Amanda Brinkman: Deluxe was founded more than 100 years ago with a legacy in the check-printing space. Today, it is a growth engine for small businesses and financial institutions, serving 4.4 million small business customers across the country. Deluxe provides small business services and products such as website development and hosting, email marketing, social media, search engine optimization and logo design — helping small businesses with marketing so they can focus on the aspects of their business that they love most. Small Business Trends: When does the new season air? How does Ty Pennington fit into the show? Amanda Brinkman: Season 3 will debut this fall on Hulu, YouTube and SmallBusinessRevolution.org. Seasons 1 and 2 are both on SmallBusinessRevolution.org where you can see what’s at stake for Season 3, and how small businesses in these inspiring communities have overcome challenges with help from Deluxe. We enlisted Ty as a co-host for Season 3 because of his proven track record of working on projects that help transform and improve lives, homes and communities. Now, he’s going to help us transform an entire community! THERE is an old children’s game called Kerplunk. It is similar in concept to Jenga. Marbles are poured into a plastic tube through which sticks have been threaded. The players take it in turns to remove the sticks with the aim of avoiding the fall of marbles. The normal pattern is for a few marbles to drop until the unlucky player removes the strut that keeps up the rest. A noisy crash ensues. 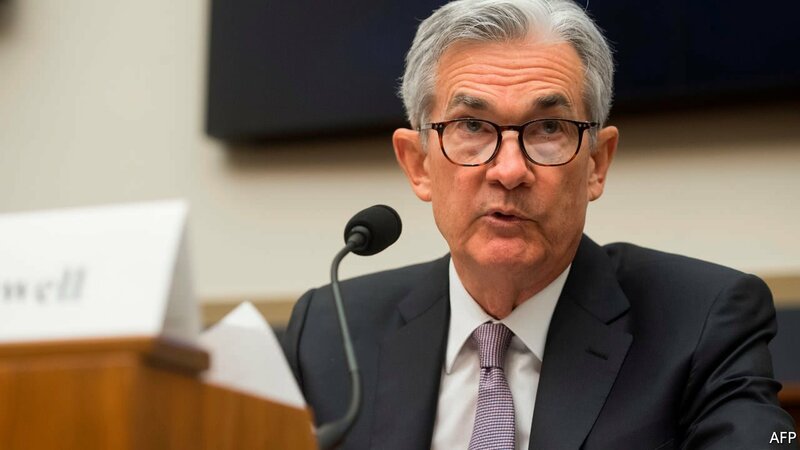 Jerome Powell (pictured), the new chairman of the Federal Reserve, may be that unlucky player. Janet Yellen, his respected predecessor, managed to pull out five sticks (ie, raised rates five times) before she departed, leaving both the economy and the markets in fine shape. Doubtless, Ms Yellen was not happy when President Donald Trump denied her a second term. But it may have been a blessing in disguise. The task of the central banker gets a lot more difficult from here. STOCK traders hang on central bankers’ every utterance. They scan news sites for market-moving events, such as terrorist attacks, and monitor President Donald Trump’s tweets for hostility towards publicly traded firms. Curiously, though, few analyse goings-on in Congress, which can shift the course of the world’s largest economy. Jonathan Strong, a former reporter (including at Roll Call, a sister publication of The Economist), hopes to change that. 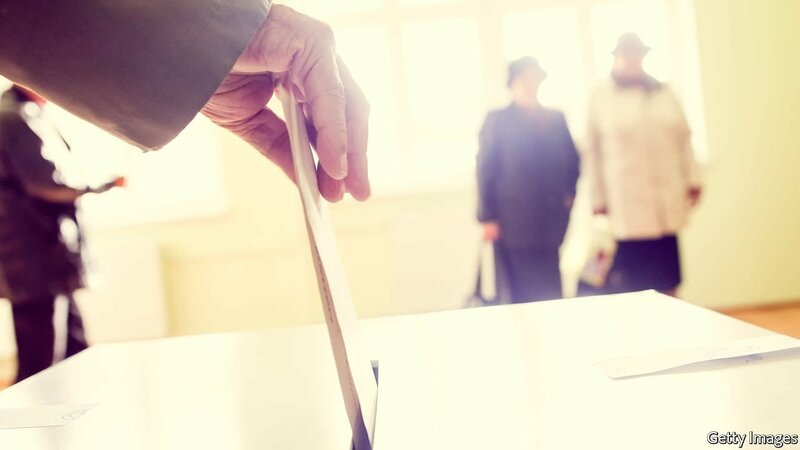 With the help of 0ptimus, a firm of Republican data wonks, he has spent three years building Legis, an algorithm powered by vast quantities of data and a neural network (a computer system modelled on the human brain), which predicts the outcome of congressional votes. Each of the 44 votes it has forecast so far has been correct. Last year a hedge fund (which does not want to be named) began trading derivatives using its predictions. You are currently browsing the Business, finances, forex blog archives for February, 2018.